Drawing from the best and most poetic of Richard Rohr's essays from nearly a quarter of a century, each chapter in this new collection examines one of the seven core mystical truths. 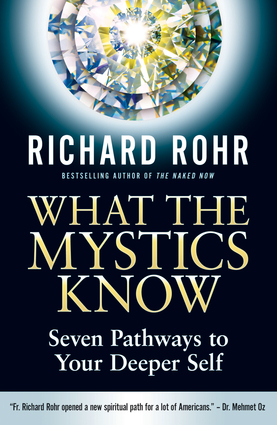 Organized according to the mystical paths that every worshiper must follow, Rohr identifies the despair of everyday life, promotes opportunities for change even in the face of pain, thereby transforming one's deeper self into a beacon of light that aids in the perpetual metamorphosis of others. Illuminating these insights with reflections on Christian and Jewish scriptures while citing the greatest religious writers throughout the ages, Rohr offers an unparalleled window into the wisdom of the mystics, within a succinct volume that represents the best treasury of his vast library of writing. Richard Rohr is a well-known lecturer who founded the Center for Action and Contemplation. He has been a featured essayist on the NPR program This I Believe, was a guest on the radio show Oprah and Friends, and appeared in the documentary ONE, featuring spiritual teachers from around the world. He is a regular contributor to Sojourners and Tikkun magazines, and he is the author of numerous bestselling books, including Adam's Return, The Enneagram, Everything Belongs, and The Naked Now. He lives in Albuquerque, New Mexico.